Join us for this inspiring Q&A with Megan Bozzuto, Sr. Marketing Business Partner at the International Association of Women (IAW). IAW is a global in-person and online professional networking platform that provides nearly one million women with the forum, education, and services to thrive in an interconnected world. 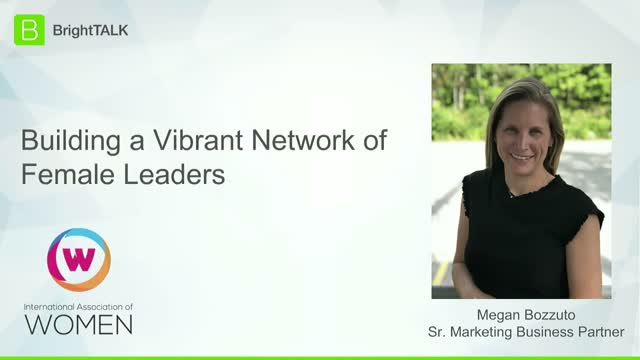 During this talk, Megan will highlight how webinars have become an integral component of IAW’s marketing efforts, as well as techniques and best practices for success. The last 15 minutes will be reserved for audience questions, so be sure to tune in live!